This my friends, is kids’ comfort food at its best. There’s not a skerrick of greenery or vegetable to be seen so it’s bound to be wolfed down without question. 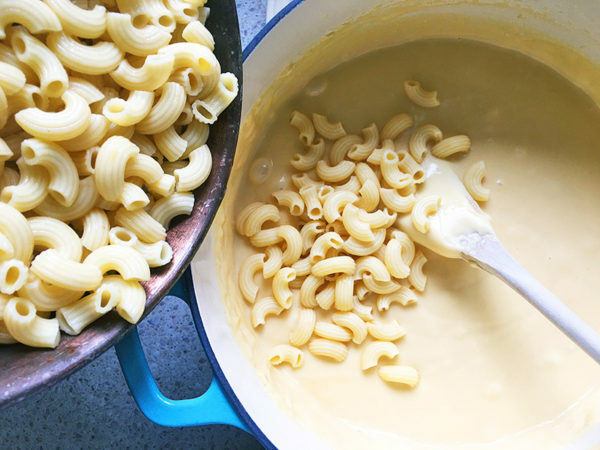 Rich in cheese, dairy and carbolicious pasta, it goes without saying this recipe isn’t the dieter’s friend, but it will both warm and fill hungry, post-sports training bellies! 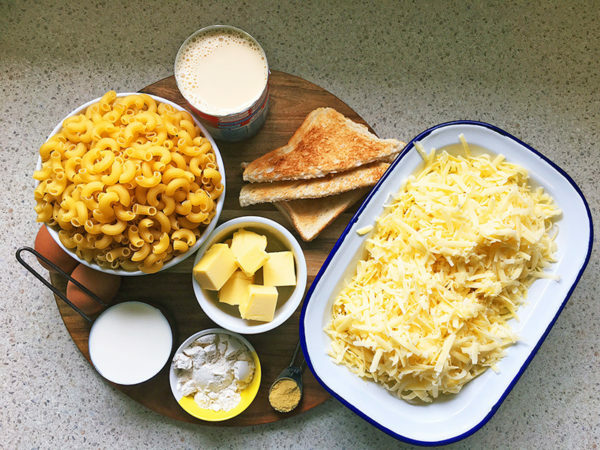 Nothing beats the velvety goodness of lashings of cheese sauce met with macaroni in this winter warmer. 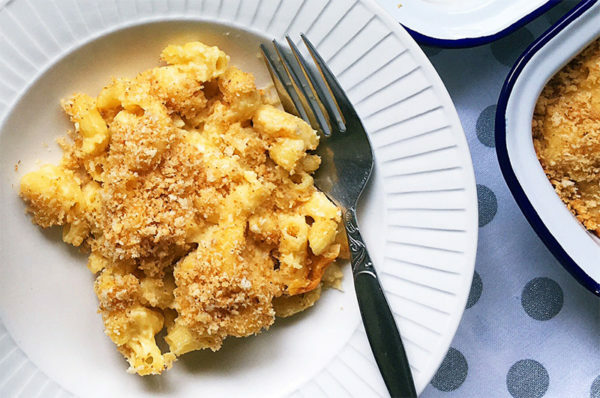 Mac and cheese is easy to create at home – and this recipe makes plenty. Use whichever cheese you like, as long as it melts smooth, you’re good to go. Preheat the oven to 180°C. Boil the kettle. Grease a casserole, lasagna dish or ramekins, set aside. 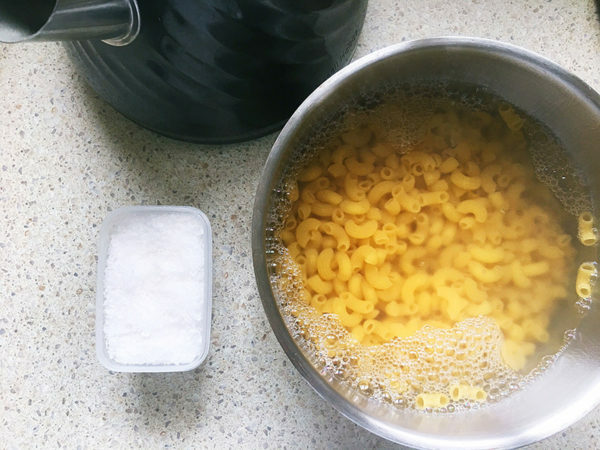 Put the macaroni in a heatproof bowl, cover with boiling water, stir and let sit while you prepare the sauce. Melt 30g of the butter. 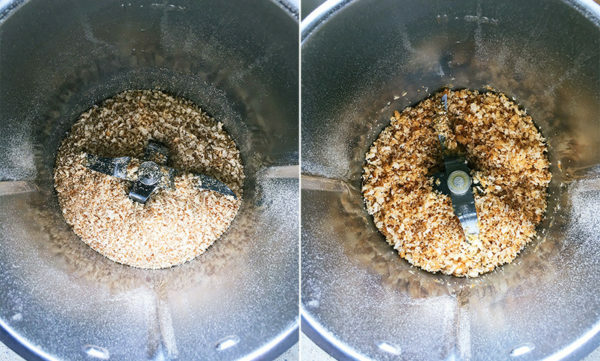 Whiz the toast in a food processor to produce bread crumbs. Pour the butter over the top and give a quick pulse to stir through. Set aside. 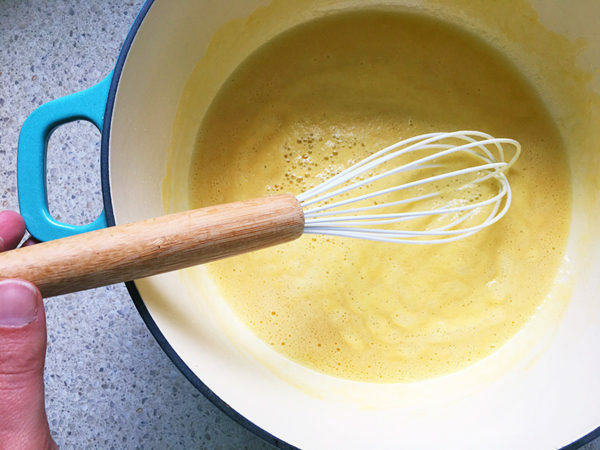 Melt the remaining butter in a large saucepan. Add the flour and cook, stirring constantly until the mixture is a light blonde colour. 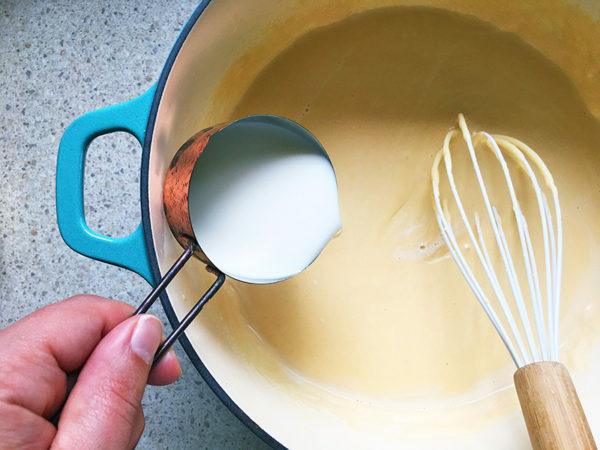 Add the tin of evaporated milk and the milk slowly, whisking the whole time to ensure no lumps and bumps. Add the mustard and stir until the mixture is smooth and thick. Bring to a simmer over medium heat. 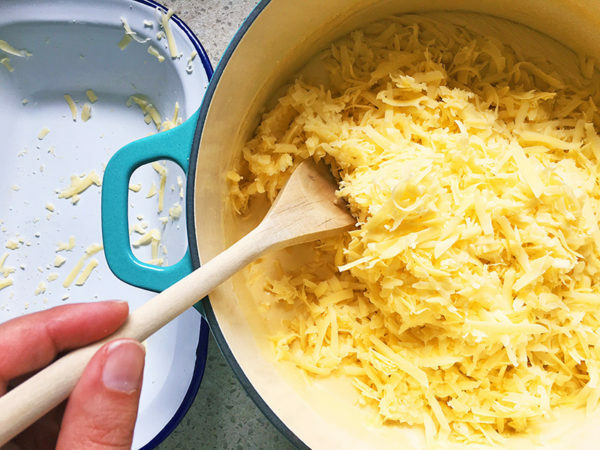 Remove from the heat and add the grated cheese, stirring until completely melted. Season with salt and pepper to taste. 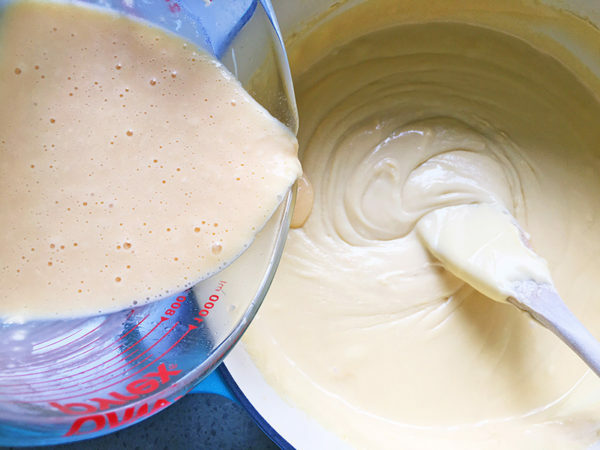 Remove half a cup of the sauce and add to the beaten eggs, whisking together. Add the mixture back into the sauce, stirring to combine. Drain the macaroni and add to the sauce, stir to combine. 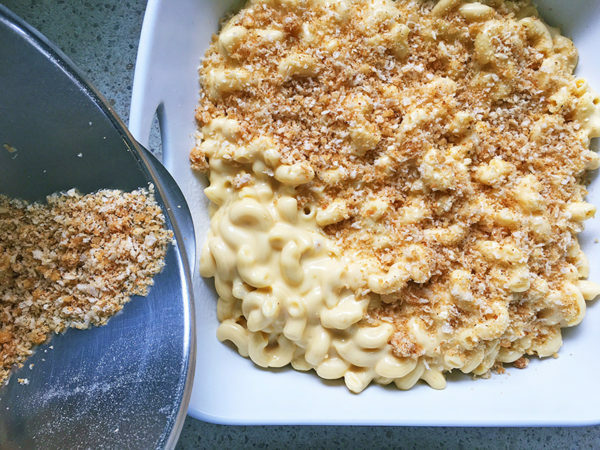 Pour into the greased dish and top with the breadcrumb mixture. Cover the dish in foil and let bake in the oven for 30 minutes. Remove the foil and bake for a further five minutes. Serve immediately.